Overgrown cuticles can lead to an array of annoying and unattractive issues, including hangnails and stunted fingernail growth. 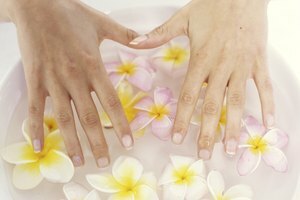 Proper maintenance of your cuticles is key in keeping your hands and fingernails healthy. Preventing overgrown cuticles and the maladies that may come with them requires a few simple maintenance steps. The number one cause of overgrown and dry cuticles is a simple lack of maintenance. If left unchecked, cuticles will grow wildly and may cover an inappropriate surface area of the nail, setting you up for bacterial infections, hangnails, split cuticles and similar issues. You can resolve most issues stemming from cuticle maintenance with a change in your personal habits. While less common, systematic issues in the body can cause cuticles to grow at an excessive rate and to be dry. A lack of moisture can lead to split and infected cuticles, while certain dermatological disorders have also been linked to the problem. If you have other issues with your skin such as dryness, itchiness or breakouts, you should consult a dermatologist and mention your cuticles as part of the issue. Getting your cuticles back in order is a relatively straightforward process. 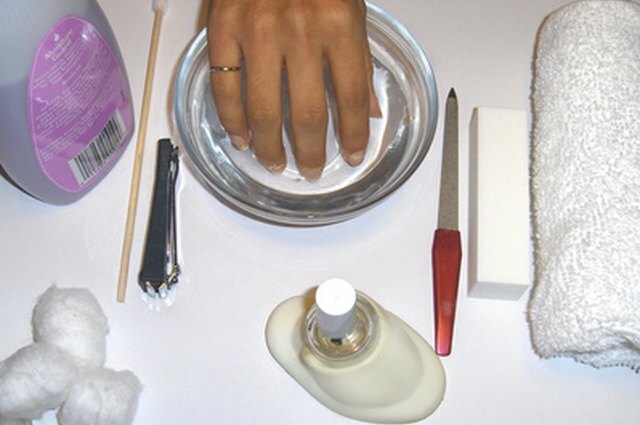 Soak your fingernails in warm water with a small amount of gentle soap. Next, apply some warm olive oil or cuticle cream to your cuticles and allow it to soak in. This will soften the cuticle. Finally, gently push your cuticles back with a cuticle tool or the rounded end of a wood nail file. This simple routine will go a long way towards keeping your cuticles healthy and attractive. 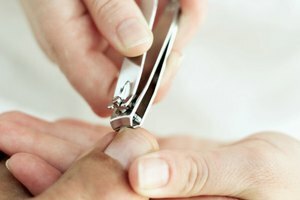 Never cut your cuticles with a nail clipper or scissors as this may lead to infection.